The 2015 Superkarts! USA season is shaping up to be another record-breaking and historic year for the sport of karting. The addition of television coverage for the entire SKUSA Pro Tour, thanks to a partnership with CBS Sports Network and Torque.tv, is an unequaled approach to promoting the sport. The return of SKUSA’s national series to Indiana – the origins of the organization – will introduce the program to new racers, as the Pro Tour will visit the New Castle Motorsport Park for this year’s SummerNationals. And last, but certainly not least, the confirmation of a prize package worth over $150,000 will play its role in ensuring that the Pro Tour sees growth for a sixth straight season. The series finale in Nevada has become the biggest karting event in the world….simply put, the SuperNationals IS Vegas. From the Las Vegas Karting Center (XPlex) to the Rio Hotel to Sam Boyd Stadium and back to the Rio, the event has become part of the city’s sports history, and SuperNationals XIX’s new location at the Las Vegas Convention Center signals the move of the official host hotel for the November 18-22 event as well. 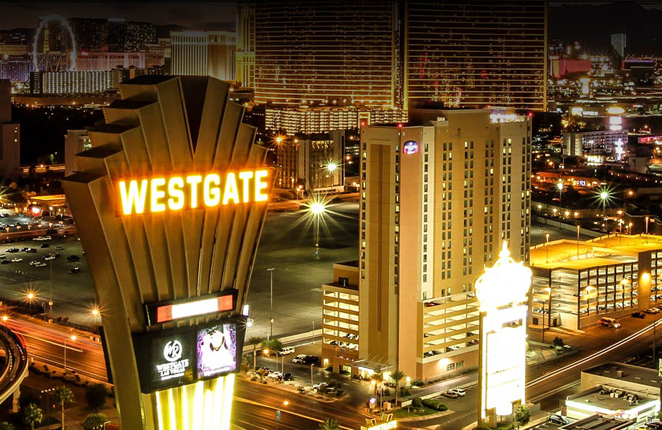 SKUSA is happy to announce that the Westgate Las Vegas Resort & Casino will be the new home for attendees during the world’s largest karting event in 2015. The Westgate Las Vegas Resort & Casino, formerly known as the Las Vegas Hilton, is located directly next to the Las Vegas Convention Center. The facility has been remodeled, bringing a new and fresh look to the historic building, including its Signature rooms that feature a modern look with Vegas-style. Overall, the Westgate is much larger than SuperNationals competitors are used to, providing a number of on-site amenities, a larger parking area, and a large center bar for that late night hydration. The dining options at the Westgate are nearly unlimited, including TJ’s Steakhouse, Teru Sushi, Benihana, Pizza Hut, a deli cafe, a gourmet coffee bar and wine bar, and The Buffet at Westgate. Information regarding the opening of the SKUSA room block for the Westgate Las Vegas Resort & Casino will be announced shortly, along with details on the Priority Pre-Entry Program, to lock in your spot for this amazing event. For more info on anything related to Superkarts! USA, please visit the website – www.superkartsusa.com – or call the SKUSA head office at 951-491-0808.